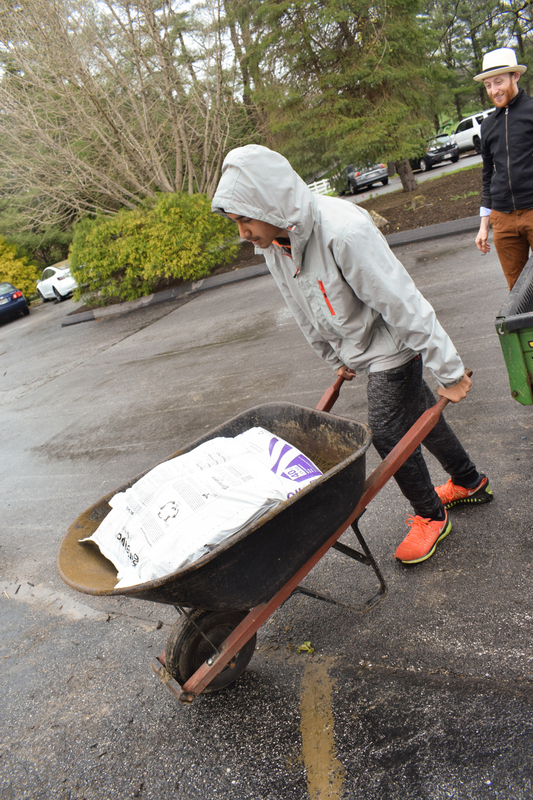 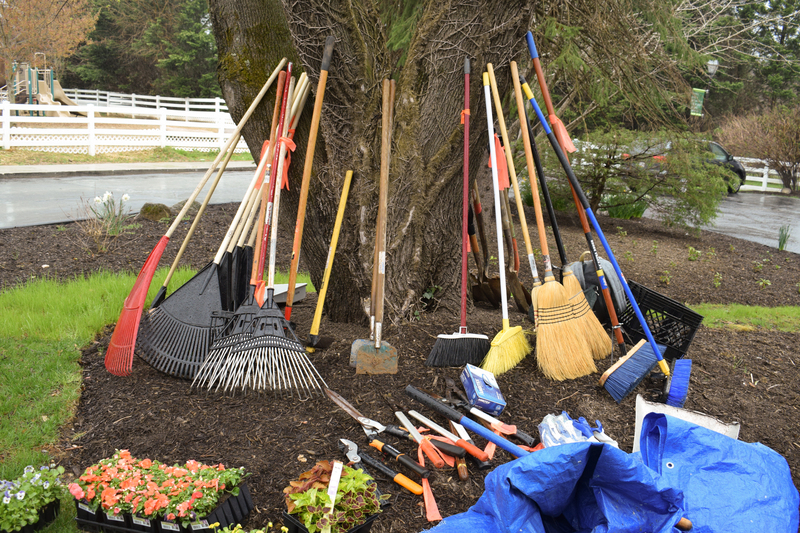 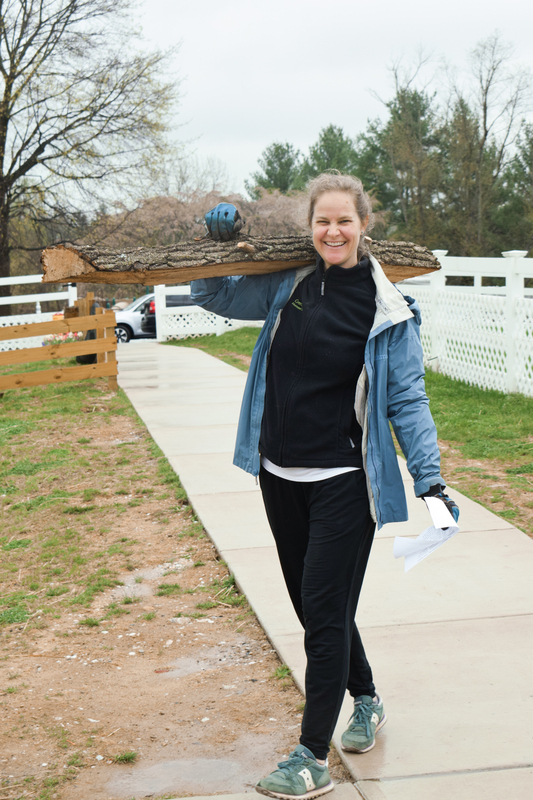 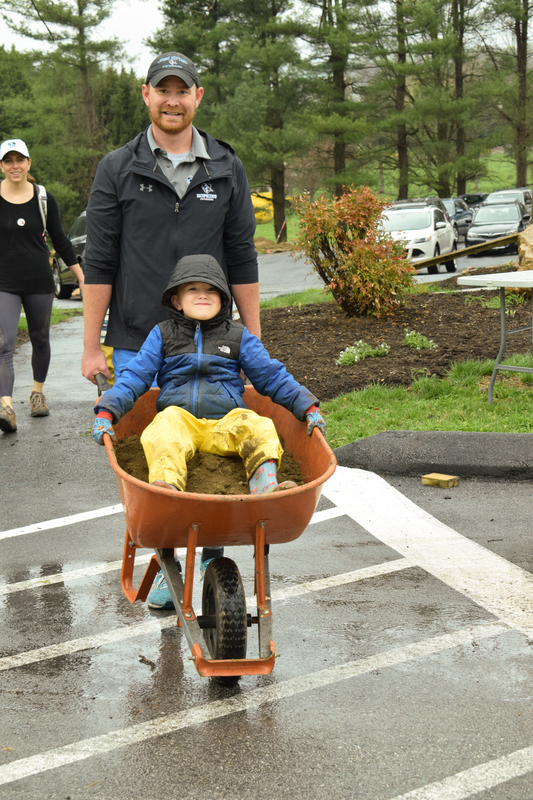 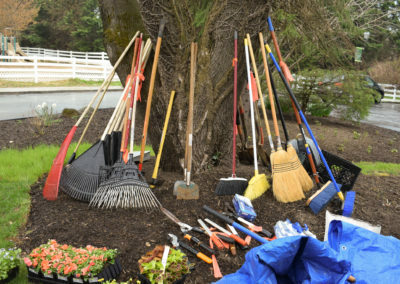 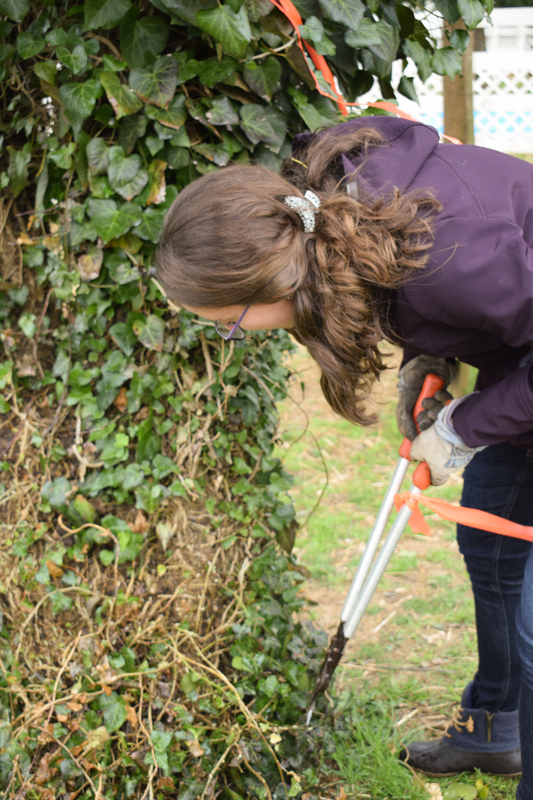 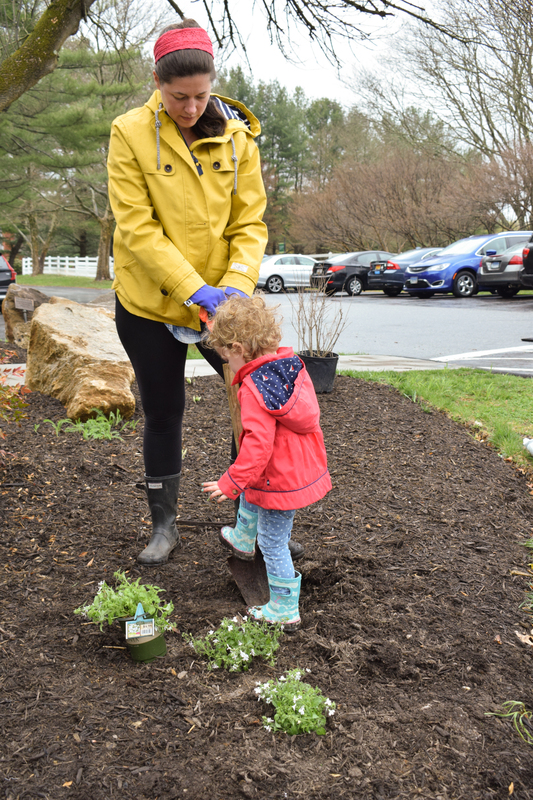 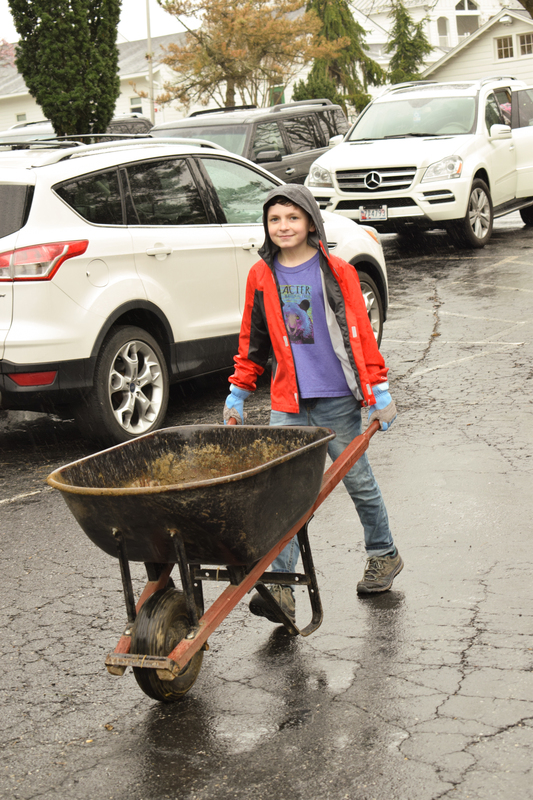 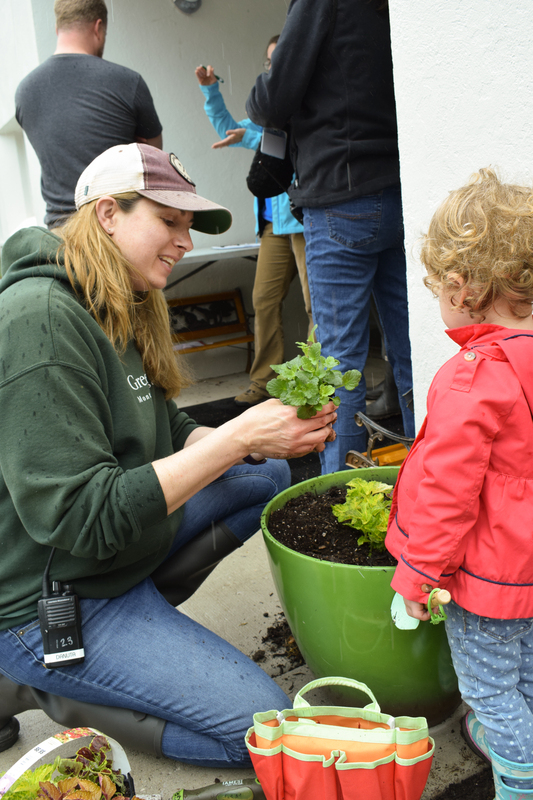 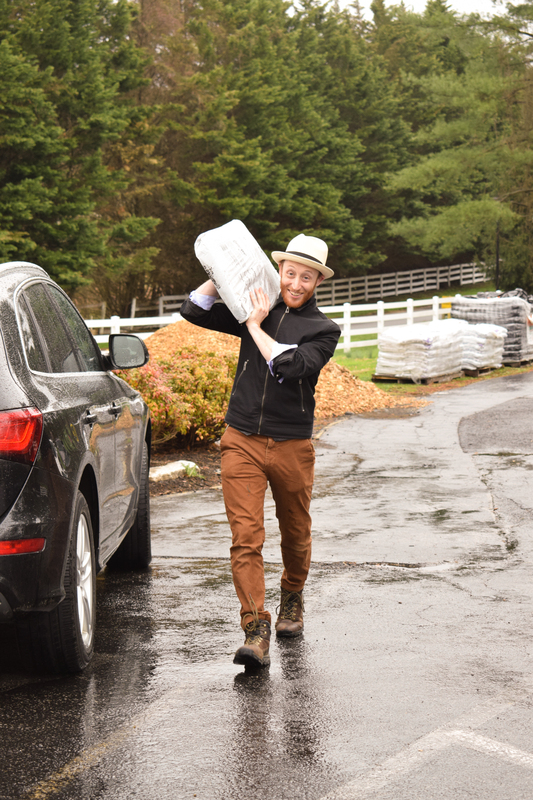 Thank you to all of our amazing volunteers who braved the weather to join us on Friday, April 12 for our Spring Grounds Day! 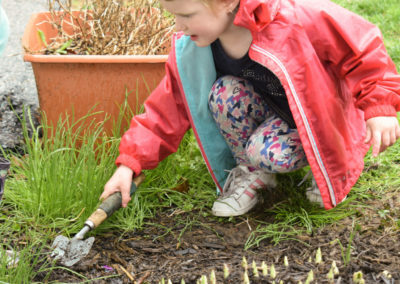 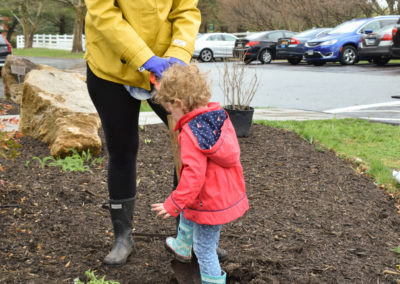 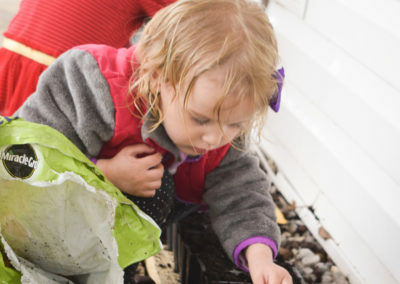 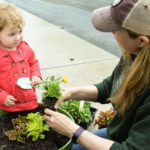 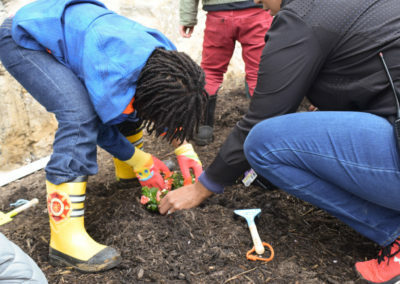 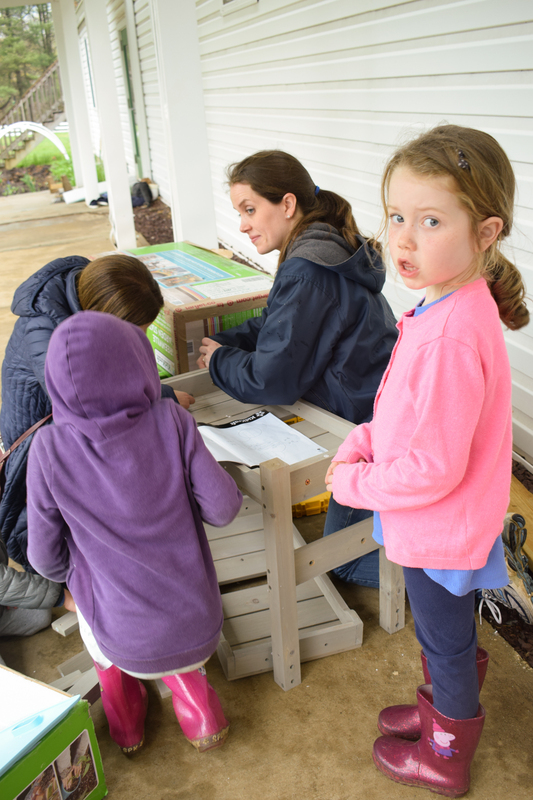 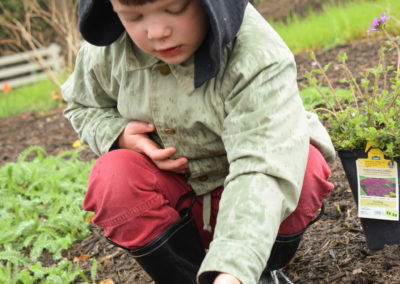 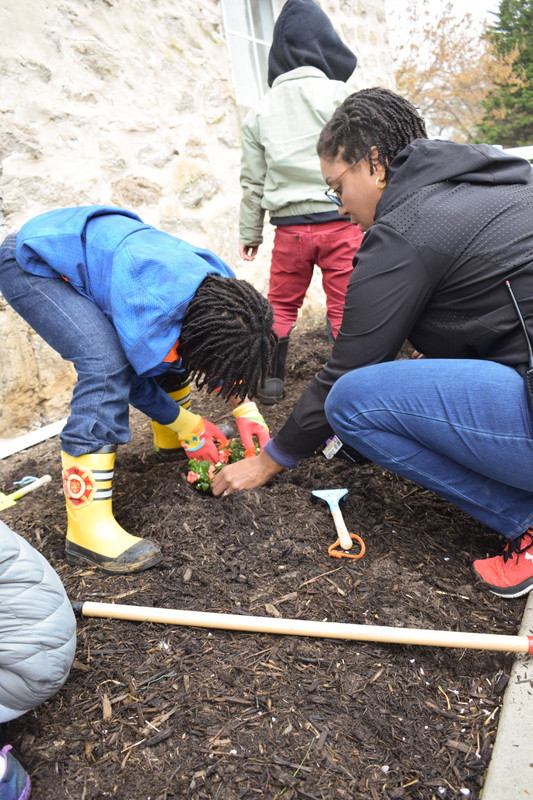 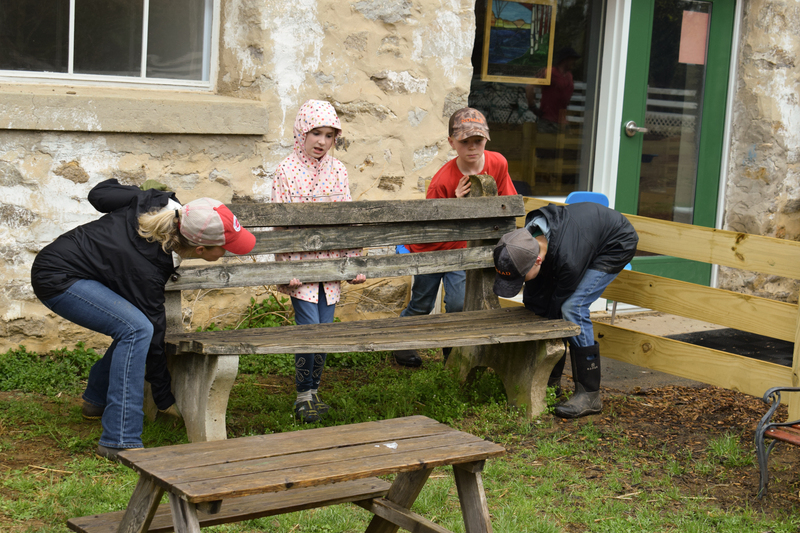 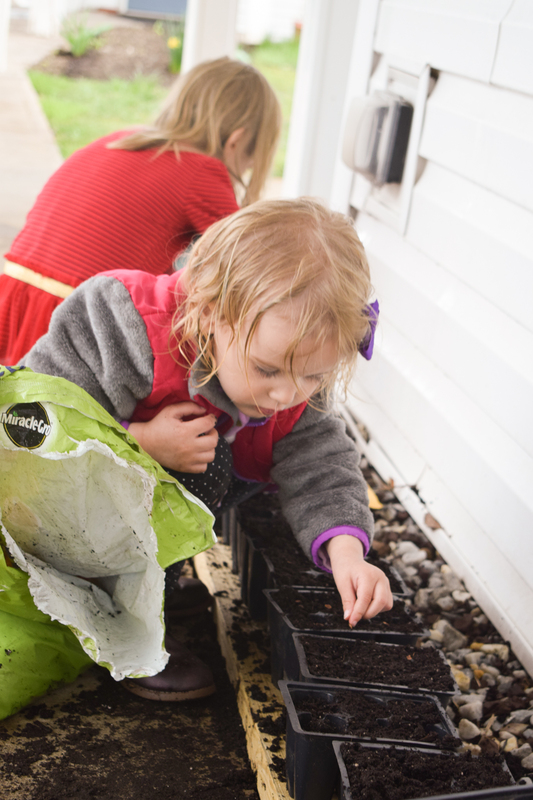 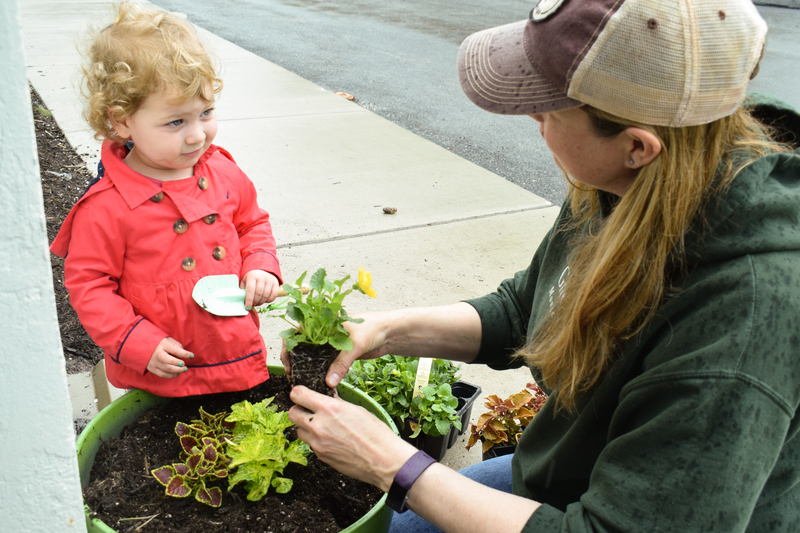 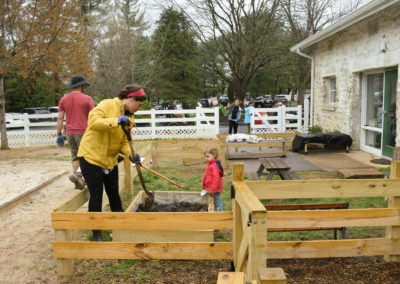 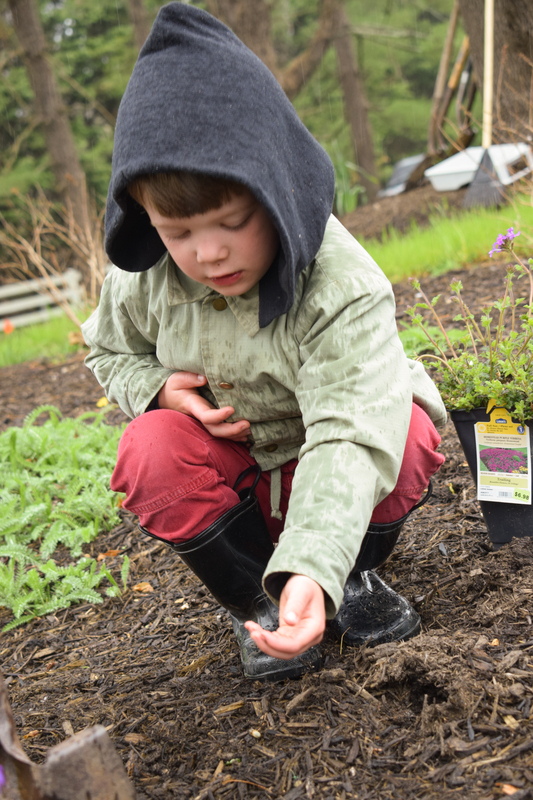 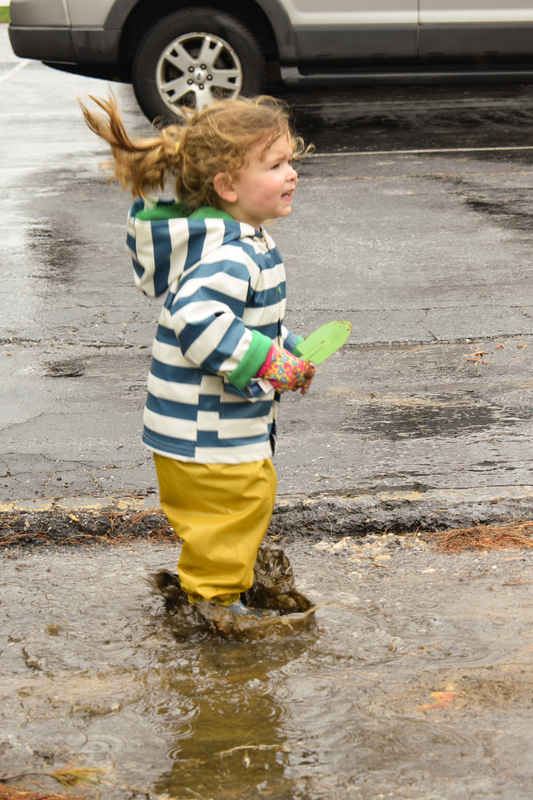 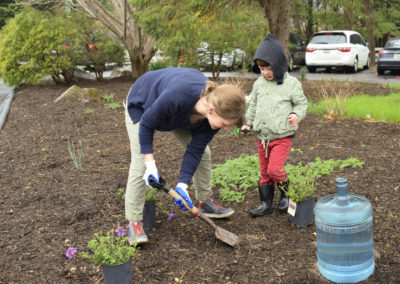 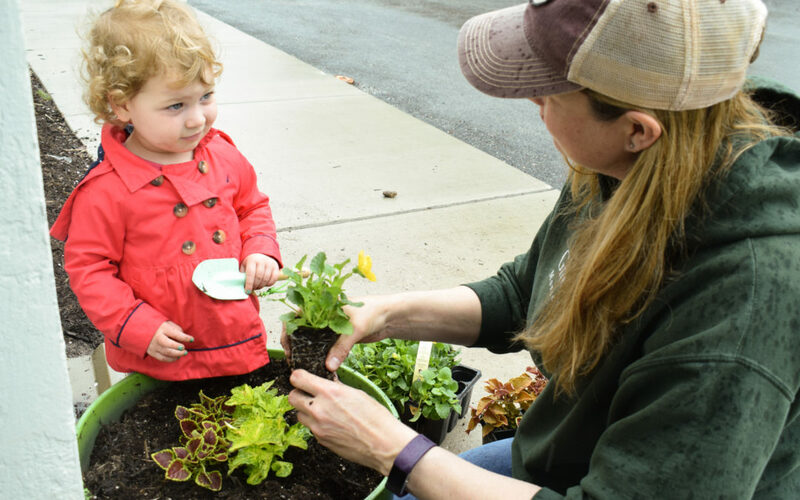 We so appreciate all of the faculty, staff, parents, and children who rolled up their sleeves to help us create beautifully prepared gardens, grounds, and outdoor learning environments. 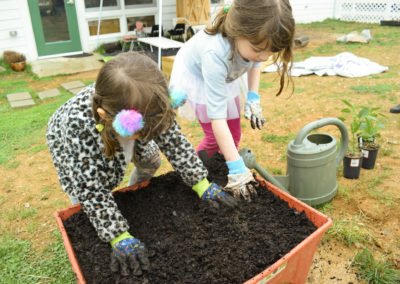 With the help of over 40 volunteers, we filled raised garden beds with soil for our students to begin planting vegetables, planted flowers in our decorative gardens in front of the school, moved logs and natural elements into our classroom outdoor environments, built picnic tables and outdoor furniture for our classrooms, and removed invasive ivy from our trees. 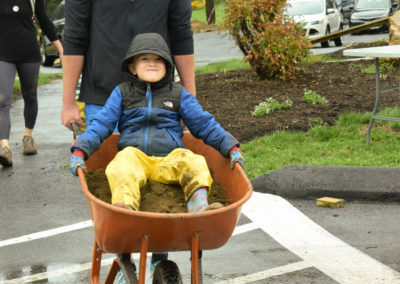 Take a look at the photographs from the event in our gallery below. 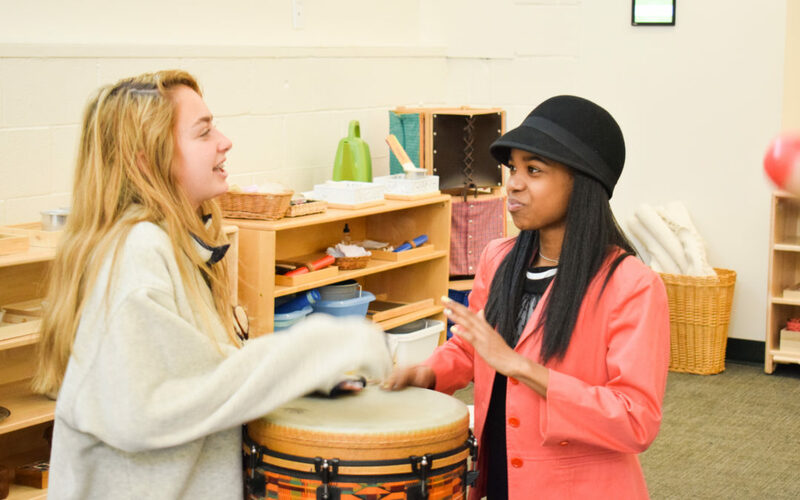 The Adolescents at Greenspring Montessori School are nearing the completion of their insightful six-week study of religion and belief. 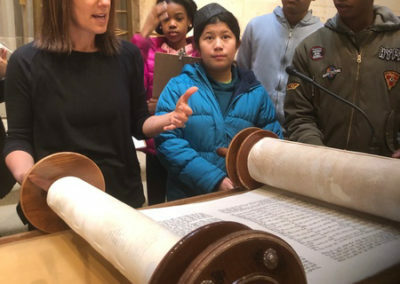 Students have learned a wealth of information about Catholicism and Christianity, Judaism, Hinduism, Daoism, Buddhism, Islam, and more, through in-house presentations, research trips to places of worship, a panel discussion with members of our community, Socratic seminars (? 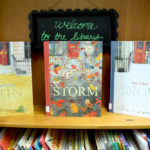 ), and both fiction and non-fiction books. 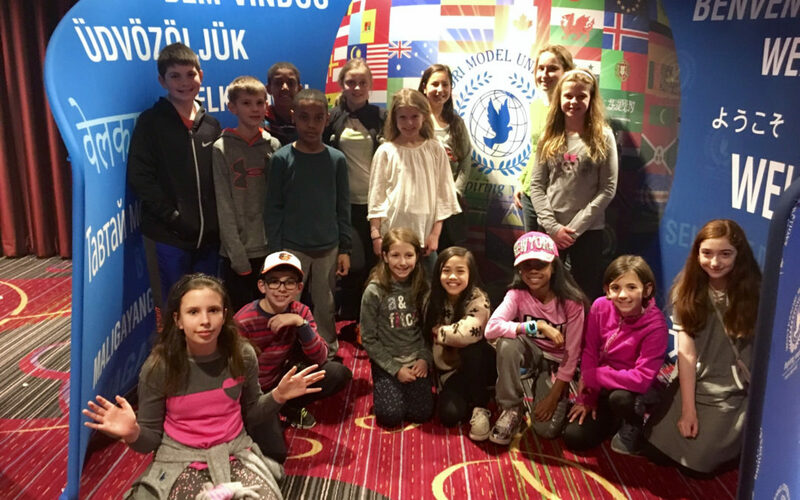 The research began with a panel discussion, featuring Spanish Enrichment Guide, Marcela Daley, Jeff Daley, Lower Elementary Guide, JR Devallon, Lower Elementary Guide, Sarah Prunier Law, Upper Elementary Guide, Brad Choate, and Carolyn Choate, where students asked questions about their own personal experiences with faith, religion, and traditions. 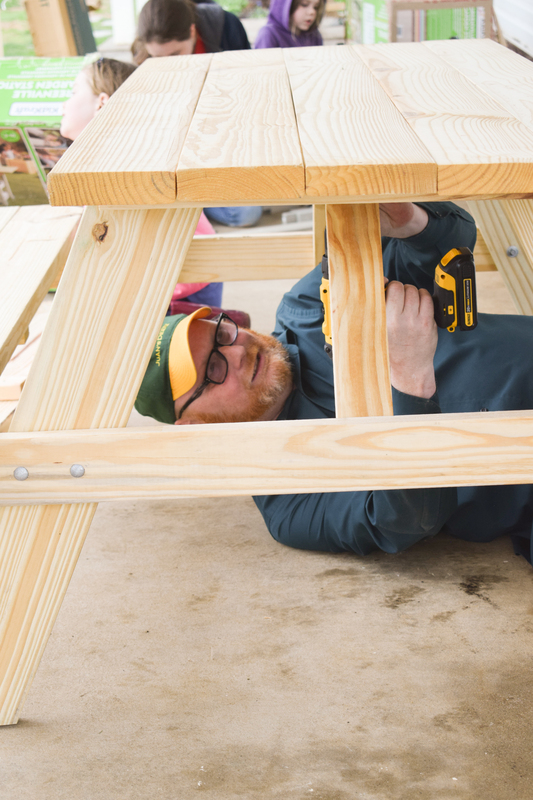 You can watch the full panel discussion here. 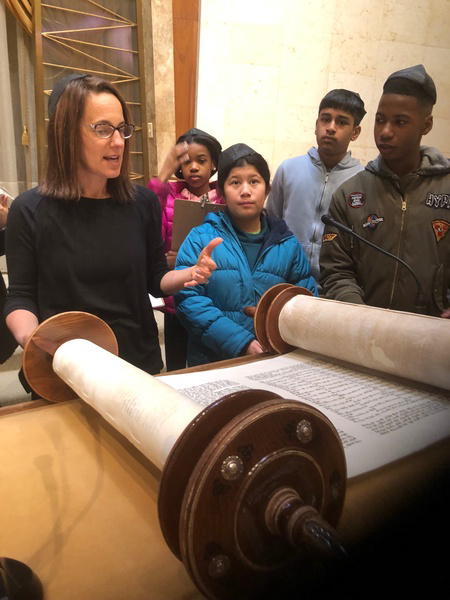 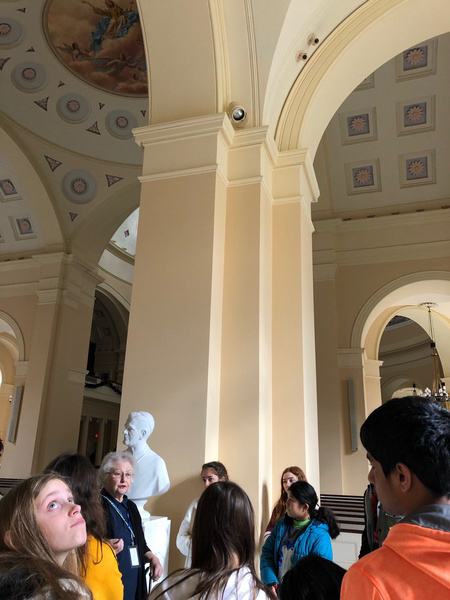 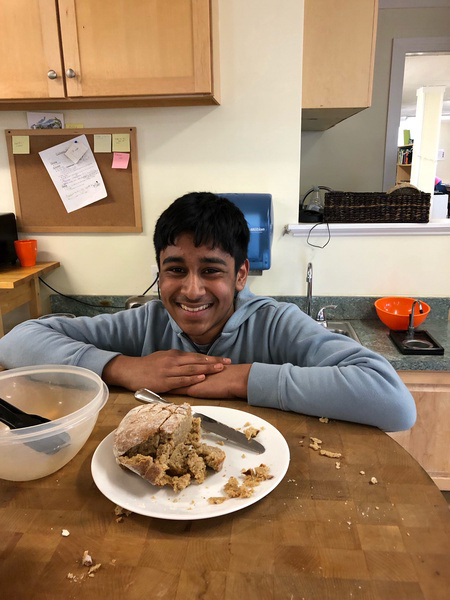 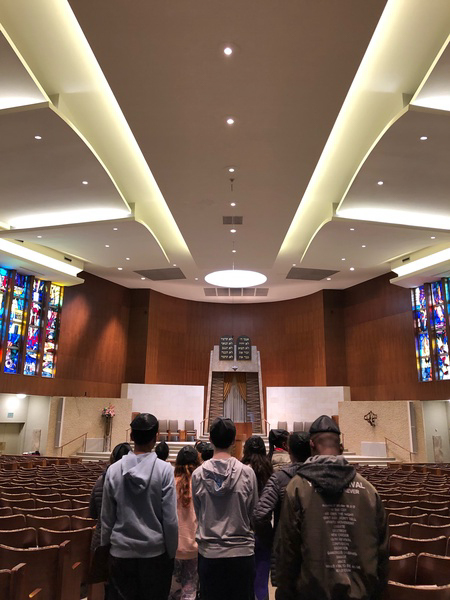 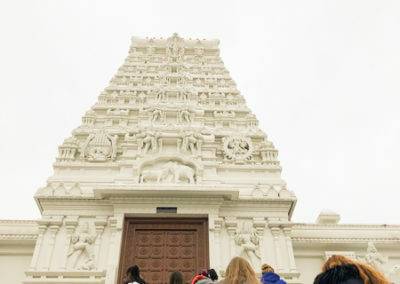 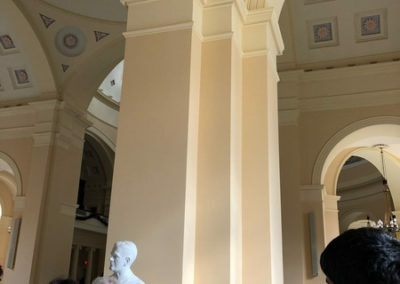 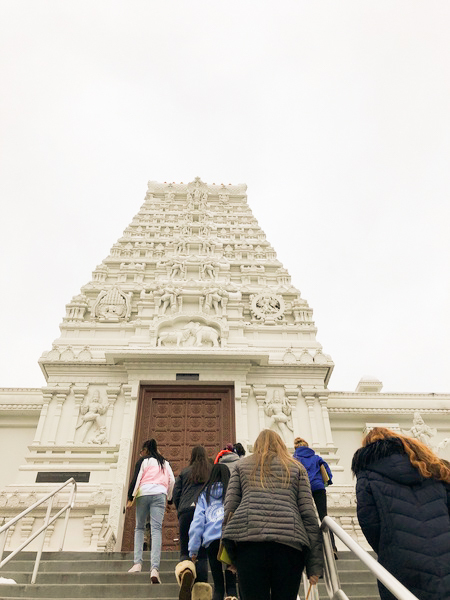 Students traveled to the Baltimore Basilica to study Catholicism, Kadampa Meditation Center to study Buddhism, Beth El Congregation to study Judaism, and Sri Siva Vishnu Temple to learn about Hinduism. 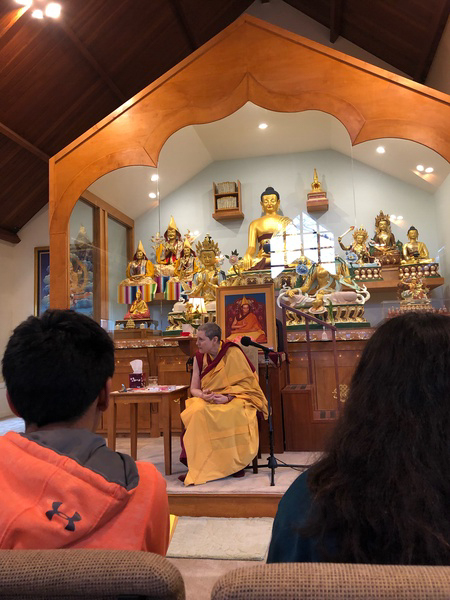 Sonia Sabarikanth, parent and trained Montessori Guide, also visited the classroom to talk about her knowledge of Hinduism. 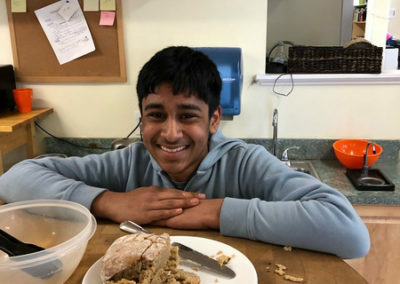 During this time, the Adolescents read the book Life of Pi, a novel that references Christianity, Hinduism, and Islam. Students discussed and debated religious concepts in the book and its dramatic conclusion with Humanities Guide, Mr. Jim. 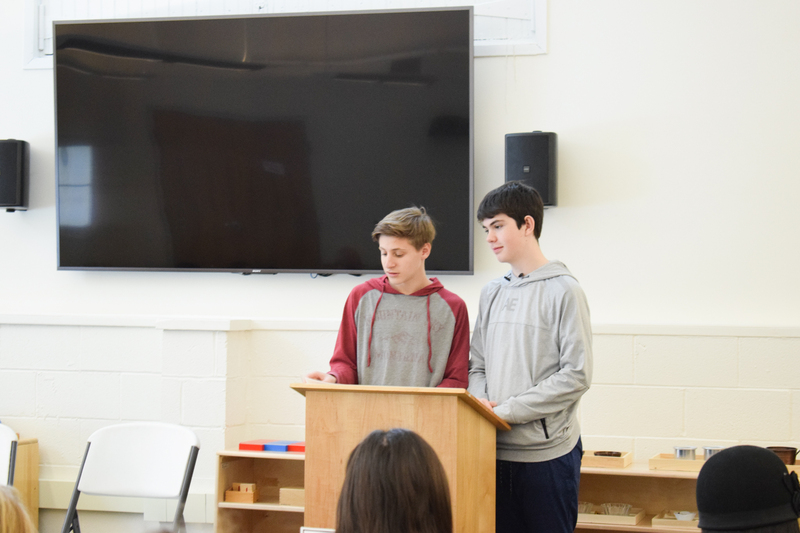 They also created lesson plans on religion and belief systems to share with their classmates. 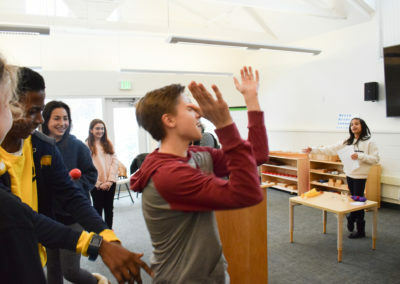 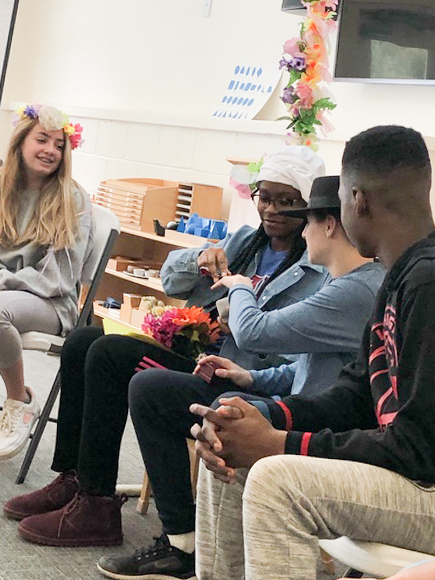 Adolescents presented a variety of lessons, from a mock Quaker wedding to a game of Mormon Jeopardy to the reenactment of a Haitian vodou ritual. 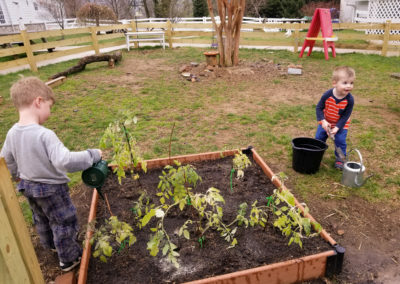 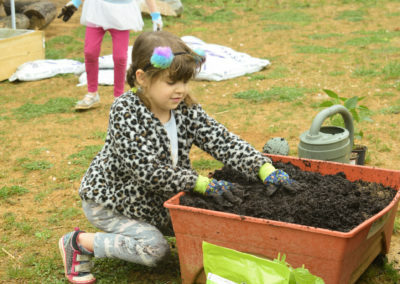 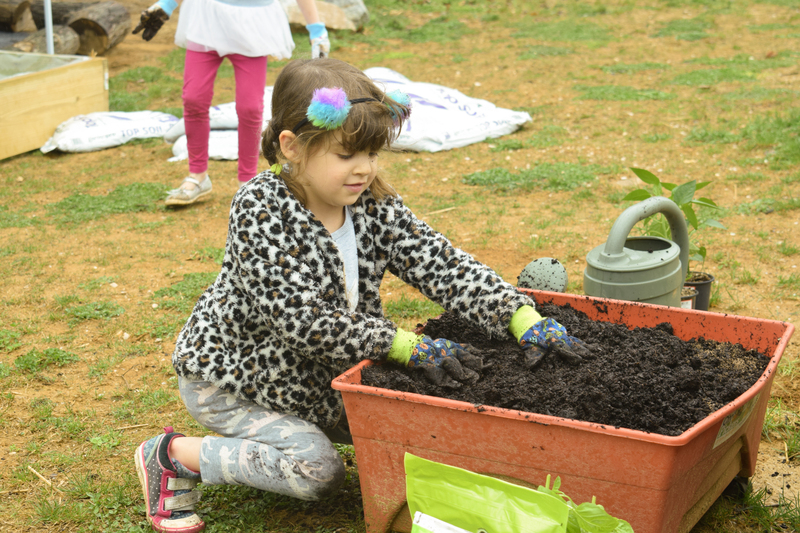 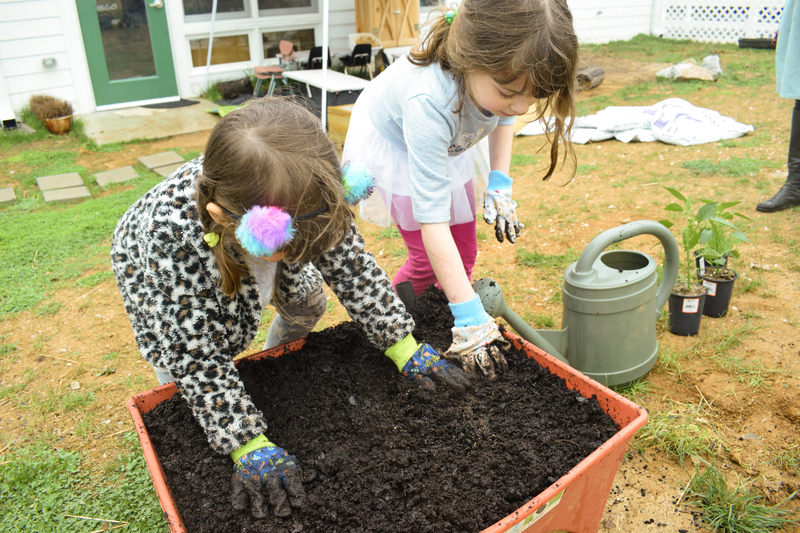 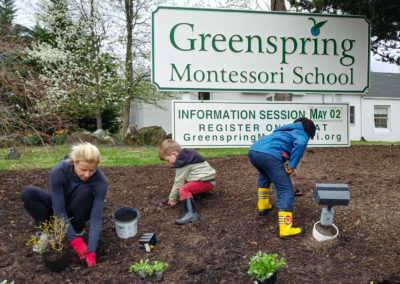 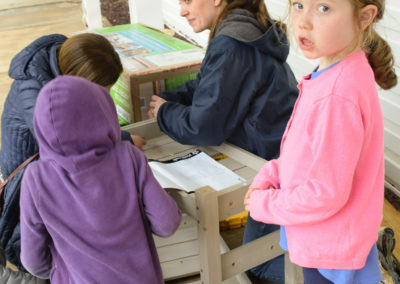 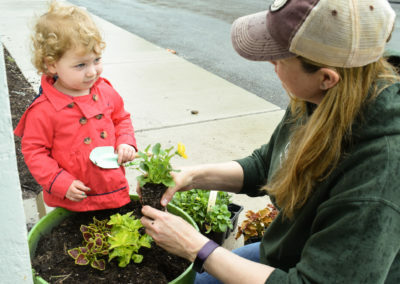 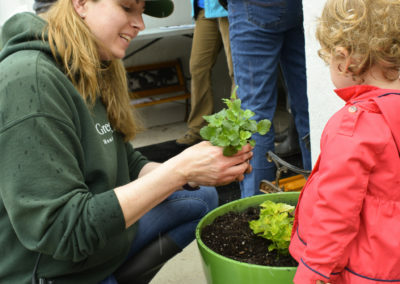 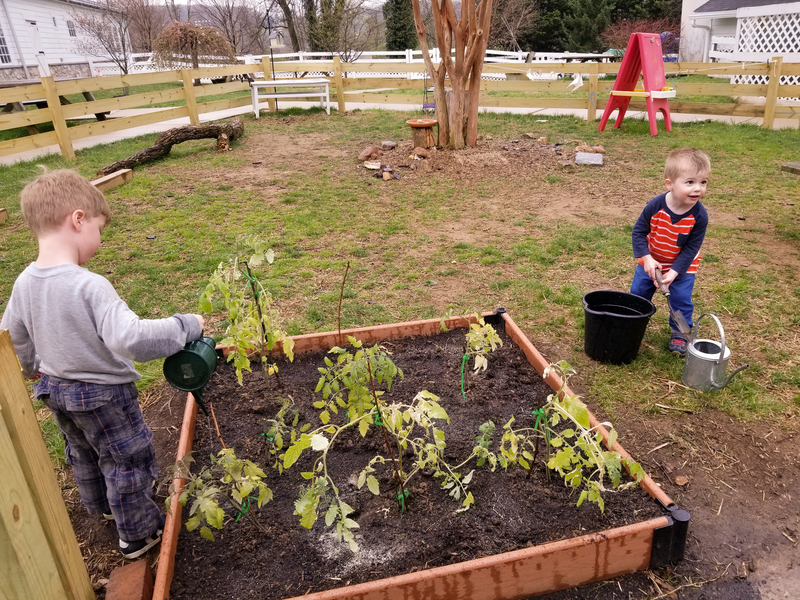 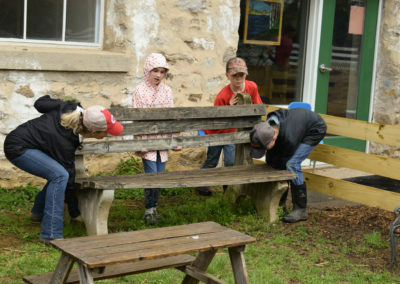 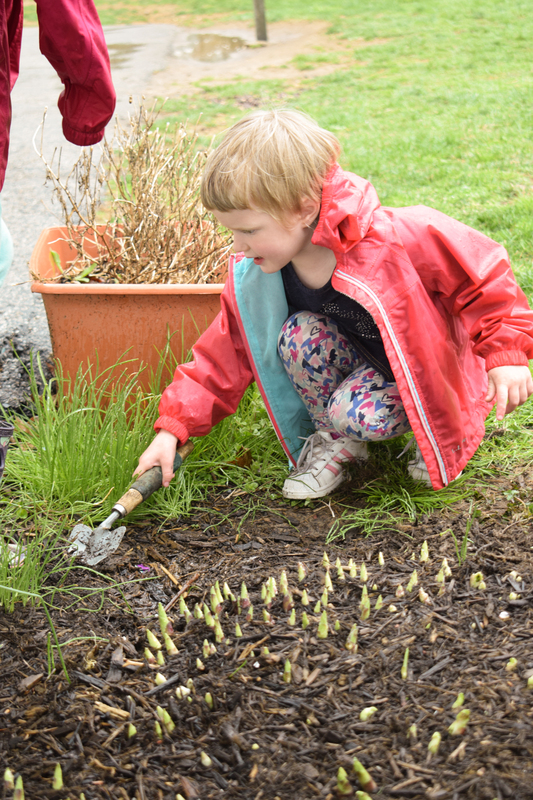 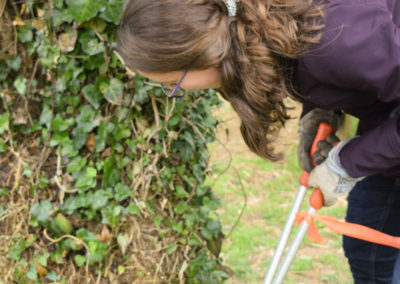 Every year, students at Greenspring Montessori School emphasize the importance of service and stewardship through community service projects. 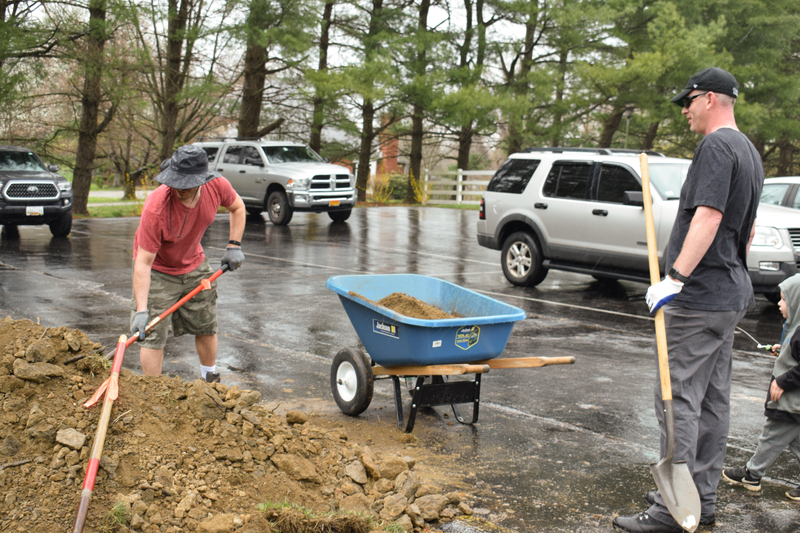 However, we approach service a little differently than other schools. 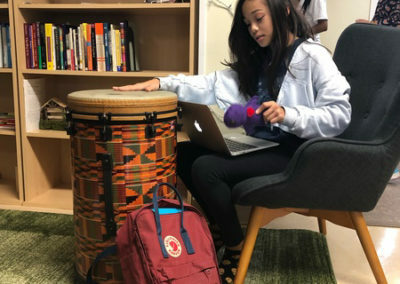 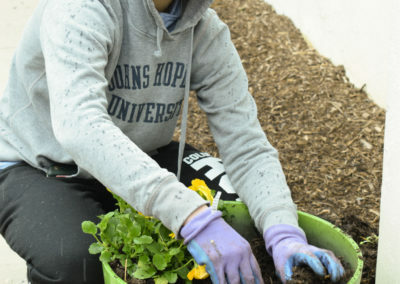 Instead of requiring a set number of hours of service or having a top-down approach (such as a teacher or administrator planning a coat drive and then getting students to participate), our students actively organize their own service projects based on the needs they see in their community. 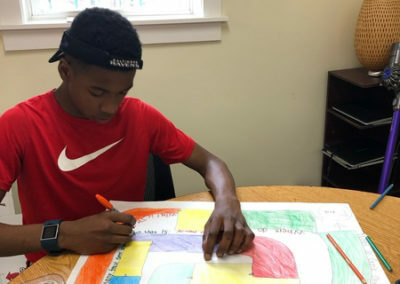 Just before the winter break, two of our Elementary students organized a holiday drive for Paul’s Place, a community center in Baltimore City. 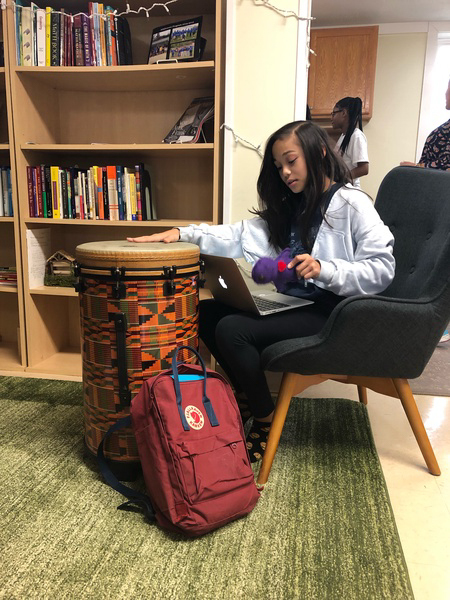 Our school community contributed an amazing total of 146 brand new gifts including toys, clothes, books, personal care, jewelry, and appliances. 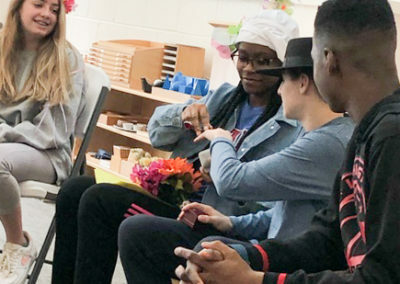 The staff at Paul’s Place was very moved and acknowledged our contribution in their morning meeting for staff and volunteers. 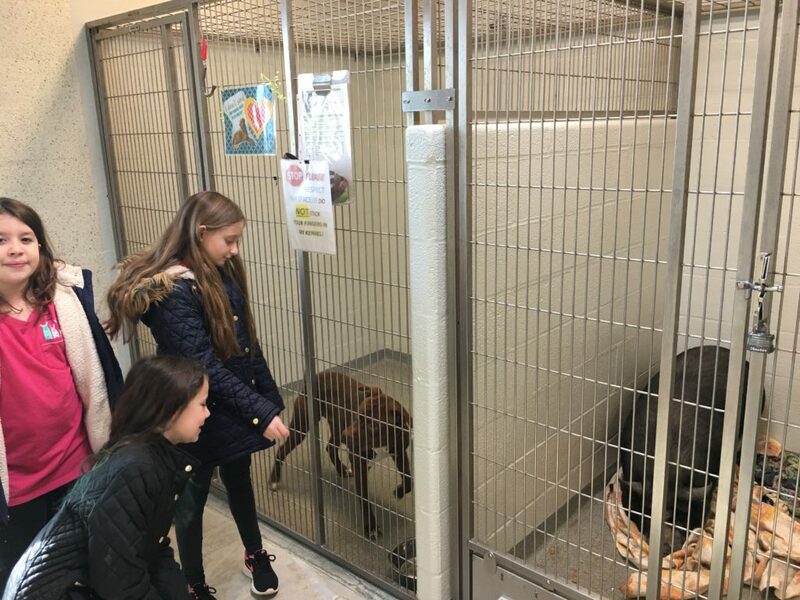 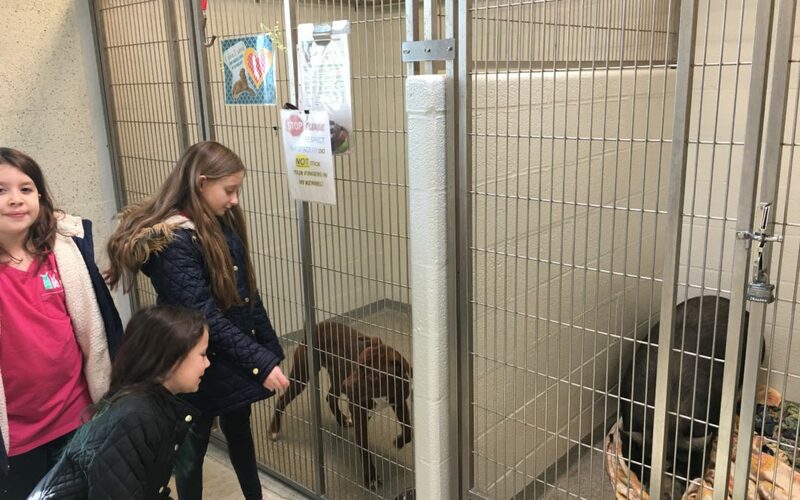 During the month of December, Upper Elementary students also collected donations for people facing homelessness and the Humane Society. 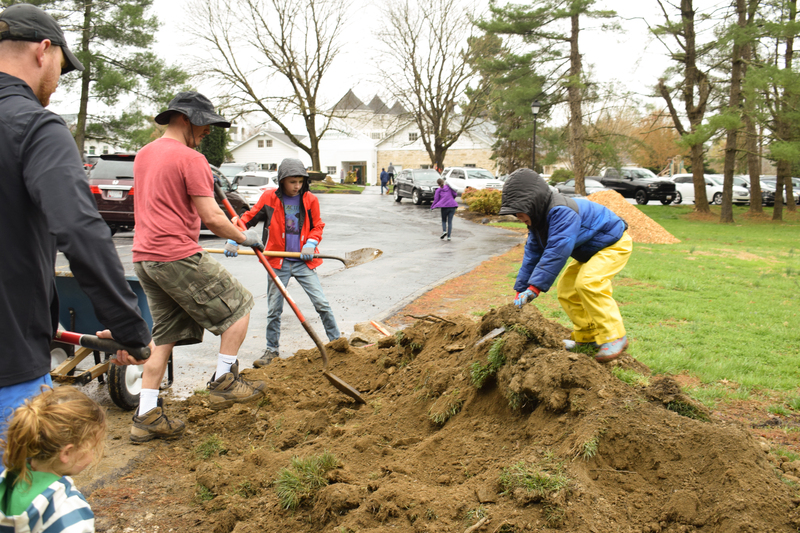 Our students and families truly embraced Greenspring’s commitment to service during the holiday season! 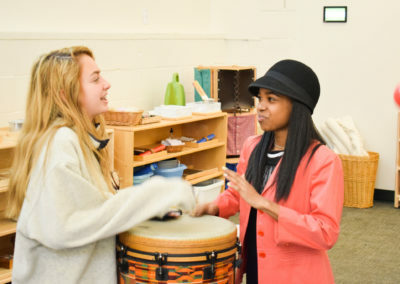 A group of third-year Lower Elementary students visited Pickersgill Retirement Community before the break as well. 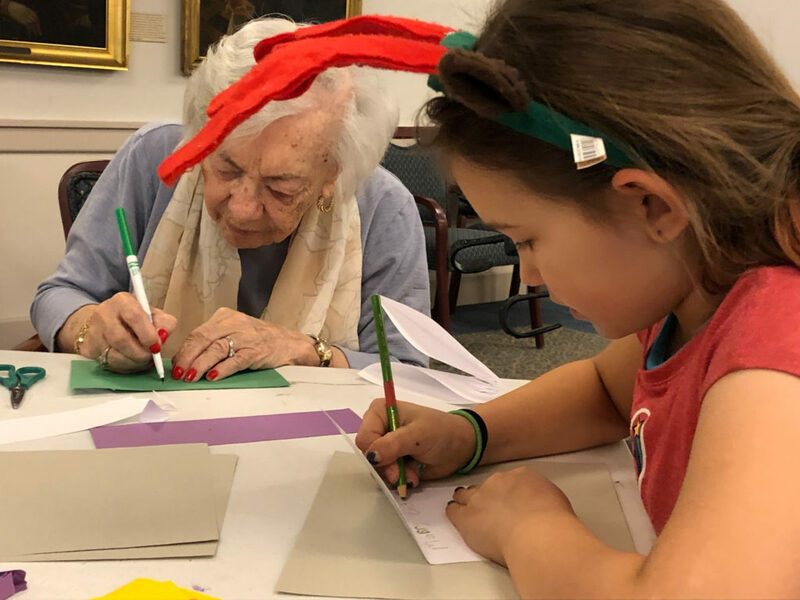 Students performed holiday songs and worked with residents on making holiday cards. 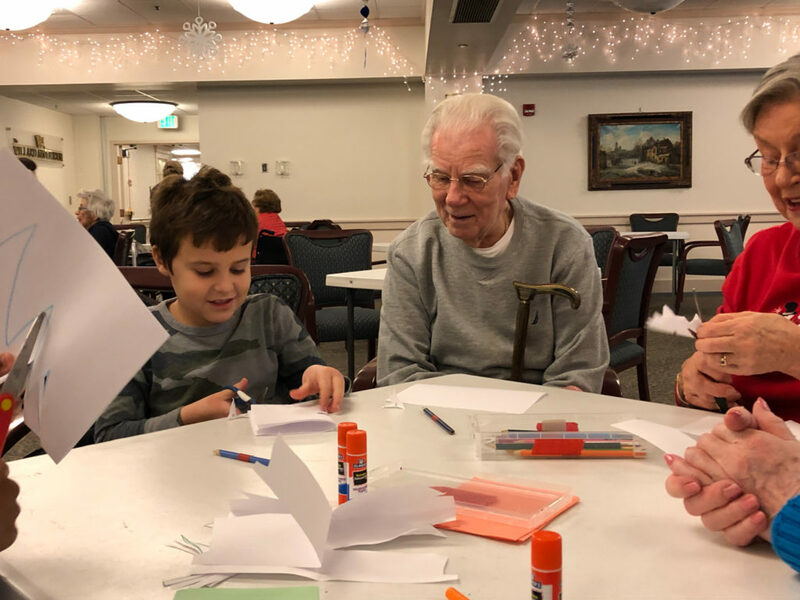 It was a pleasant surprise when the residents chose to make cards for the students themselves! 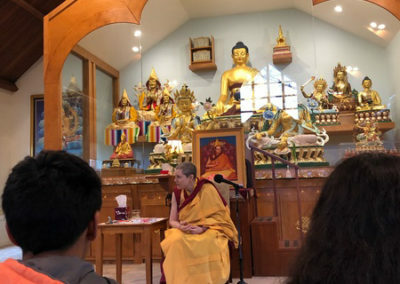 You can enjoy photos from their visit here. 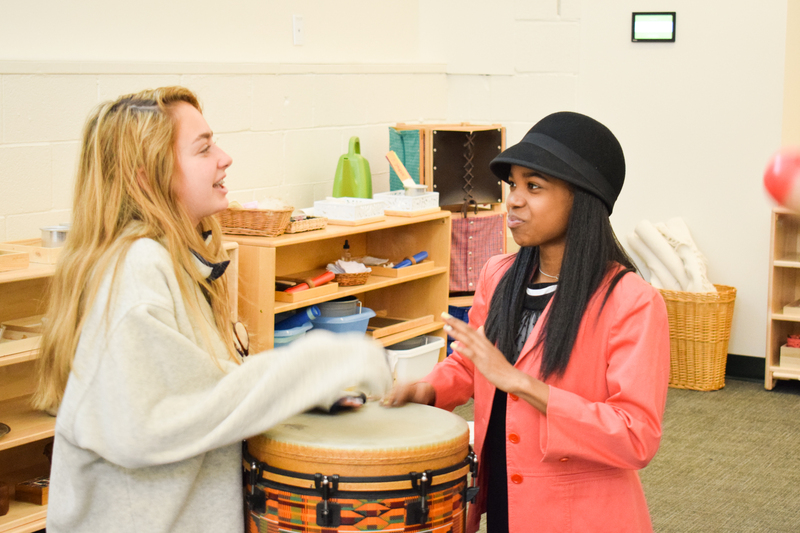 A group of students is already planning the next trip to sing additional songs and do more craft activities together. 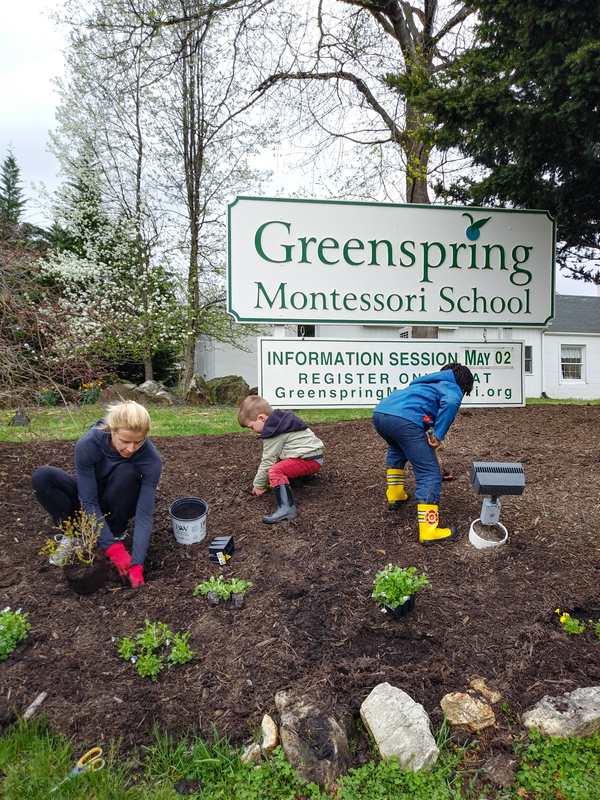 At Greenspring Montessori School, when our students see a need, they respond with kindness, generosity, and thoughtfulness. 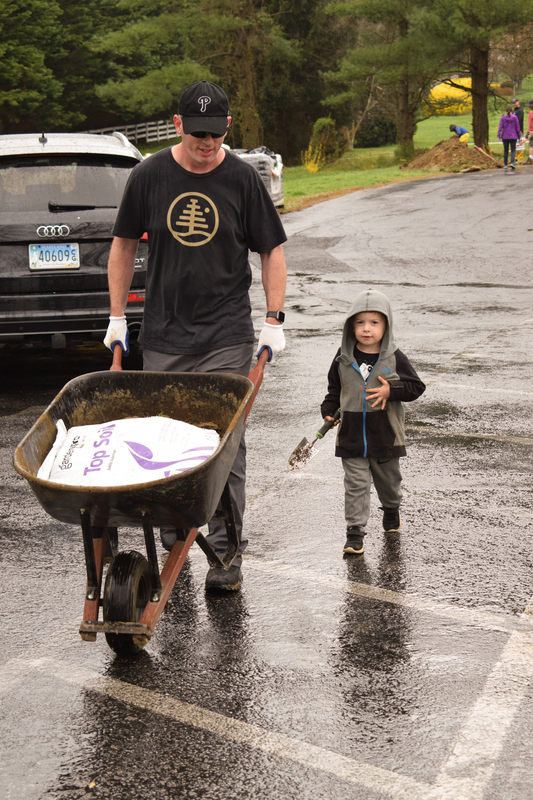 It’s one of the things we love most about our community! 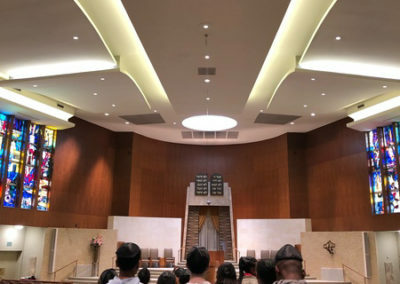 Since 1994 Rev. 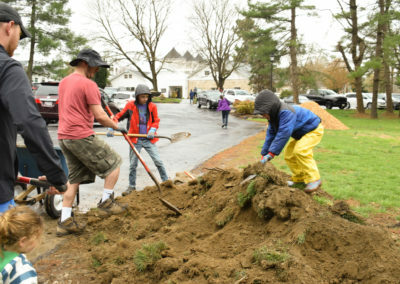 Dr. Martin Luther King Jr.’s life has been honored not only with a holiday but also with opportunities for folks to engage in community service in his memory. 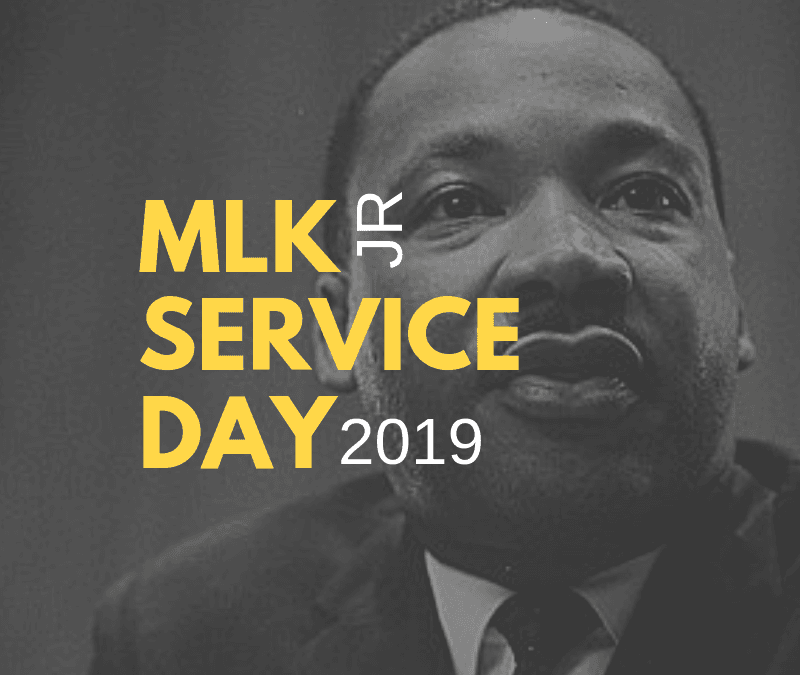 With our theme for the year of Service and Stewardship in mind, we have cultivated a list of opportunities to serve the greater Baltimore community on MLK Day. 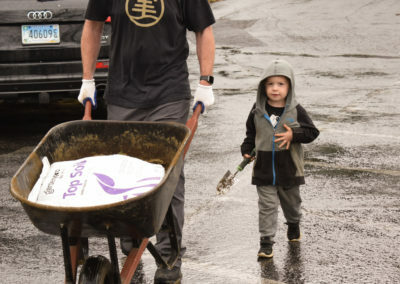 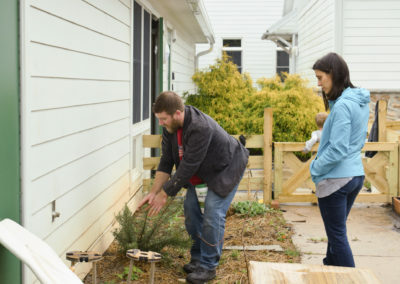 Below, you will find a list of local service opportunities to help connect your family to meaningful opportunities. 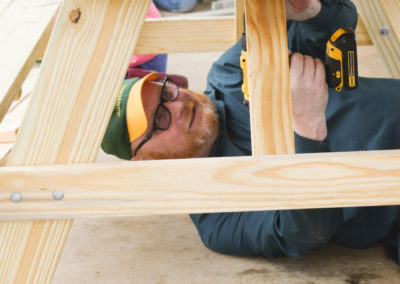 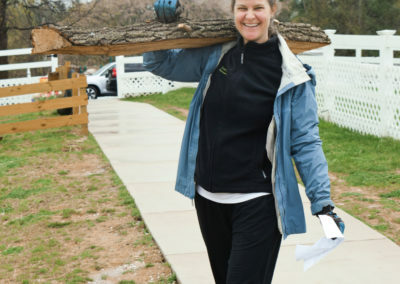 Civic Works – Current parent Dana Stein’s “urban peace corps” non-profit in Baltimore City that has hosted MLK Day service projects since at least 2002. 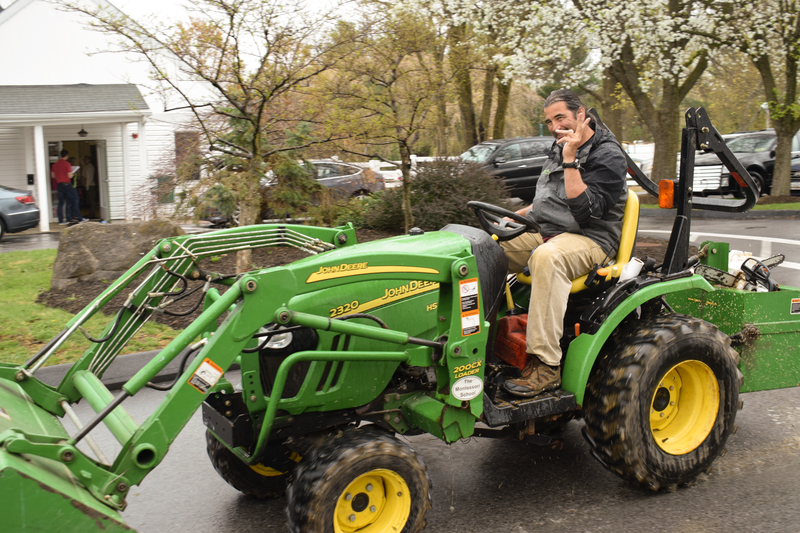 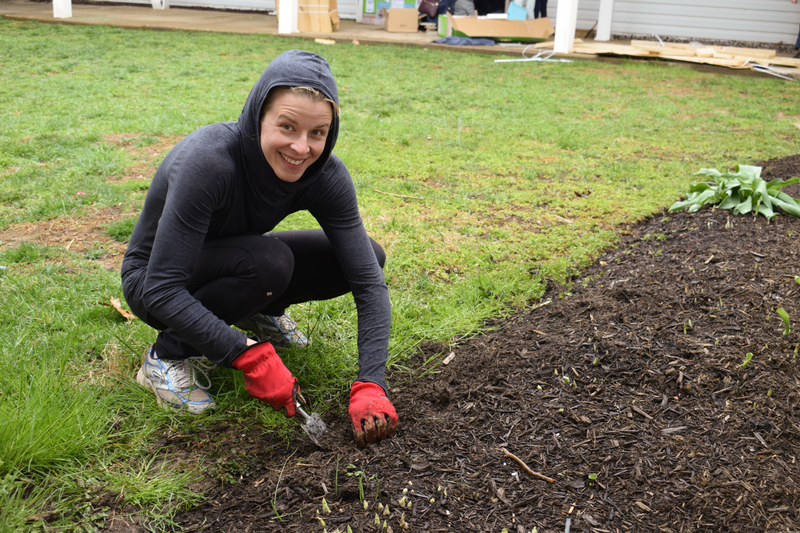 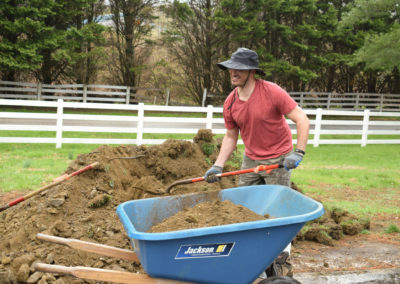 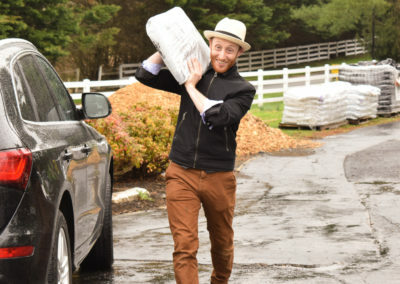 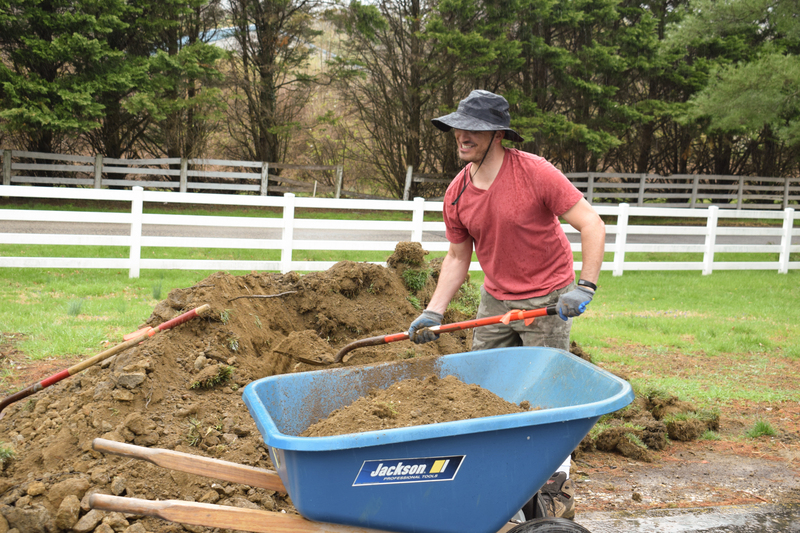 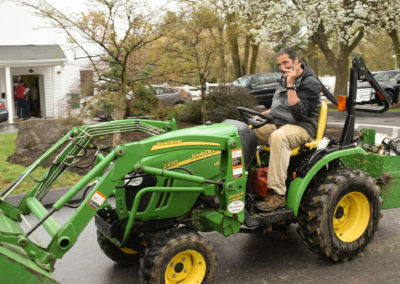 Volunteer with Civic Works’ Real Food Farm, Community Lot Team, and Elder Services teams! 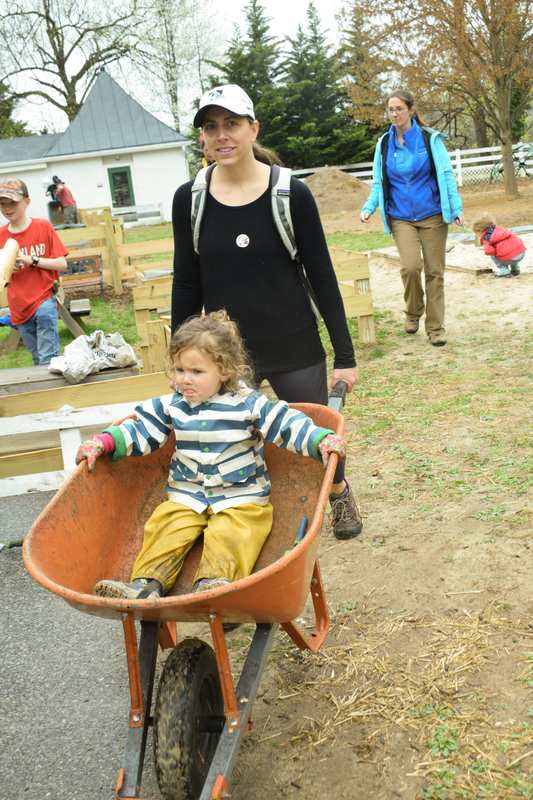 Join us as we focus on creating access to safe spaces and green spaces. 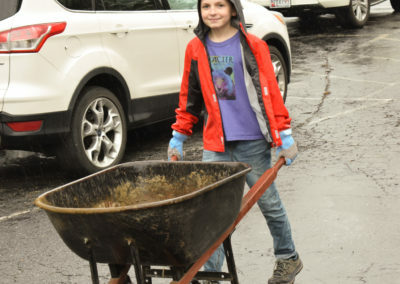 Hosted by the New Broadway East Community Association and organized by The 6th Branch. 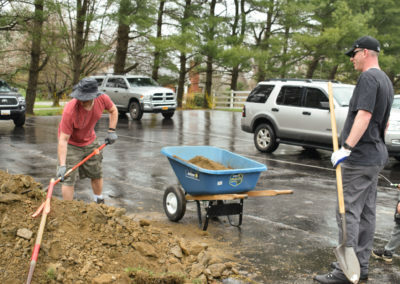 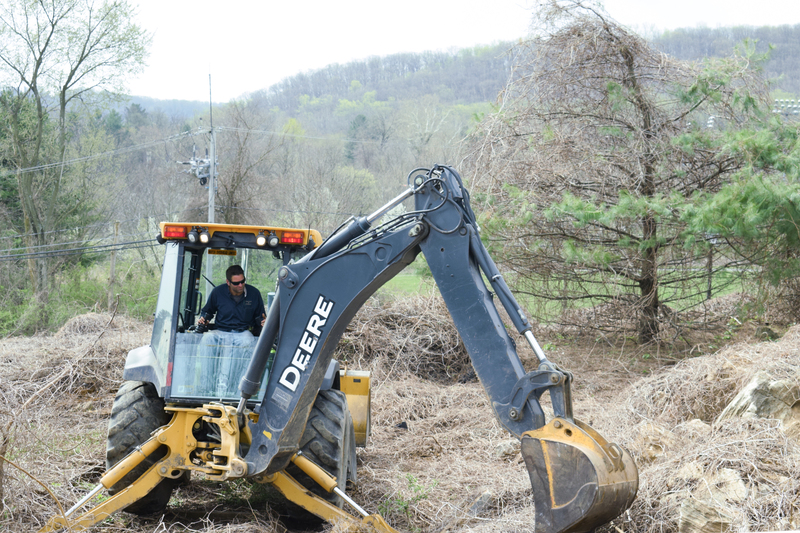 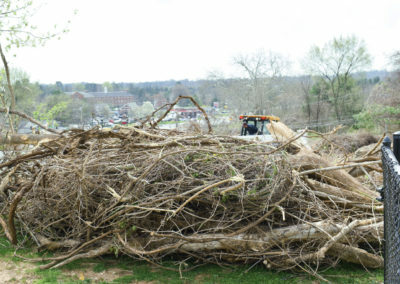 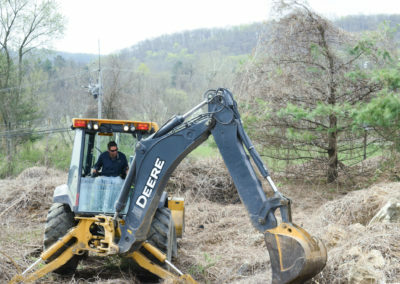 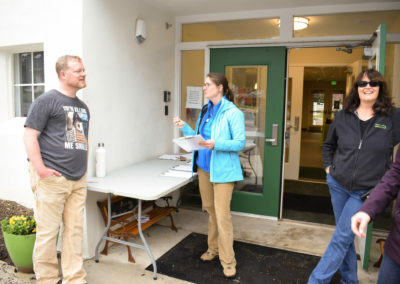 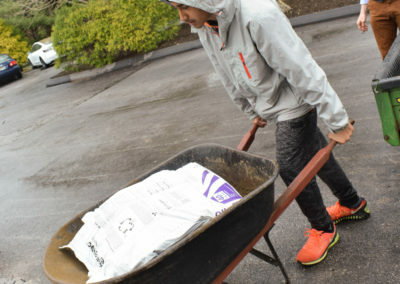 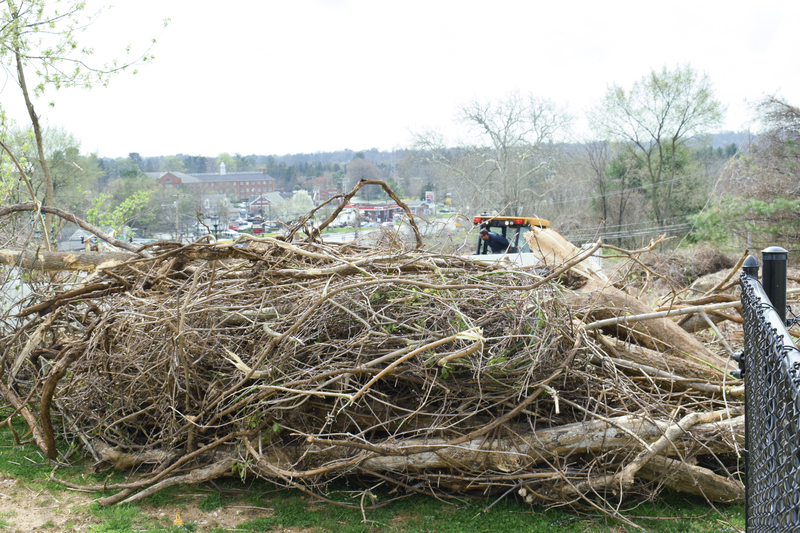 Projects include several light demolition, overgrowth removal, and large scale trash clean-up projects on multiple sites in the Broadway East community. 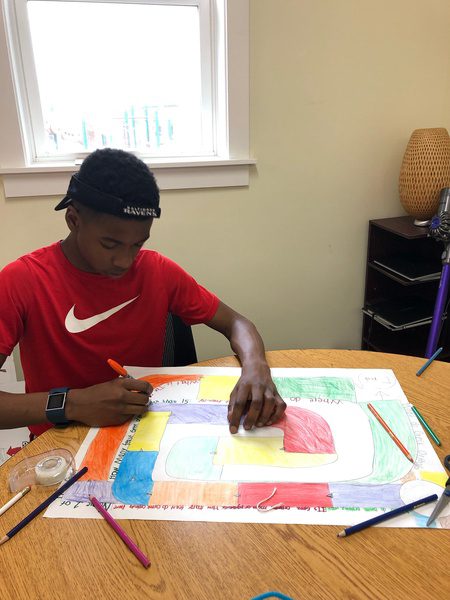 A variety of projects for all ages (3 months+) including singing with senior citizens, packing “blessing bags” for the homeless, serving meals to the hungry, acting as a camp counselor, and community clean ups. 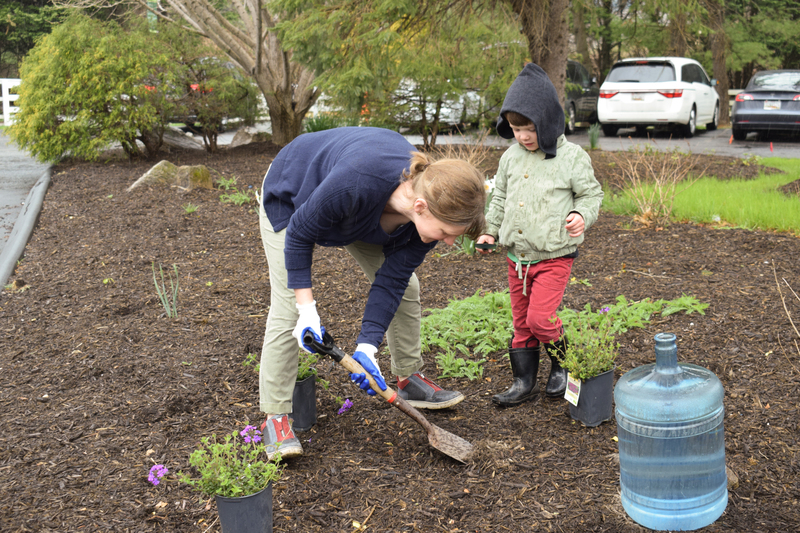 A range of family-friendly service opportunities for ages 5 to 105. 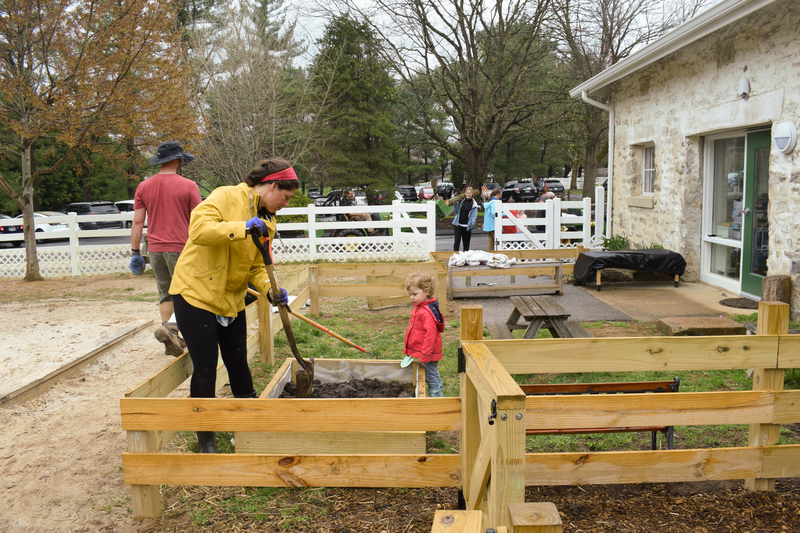 The activities help with food security, community development, public health, and support the morale of service members. 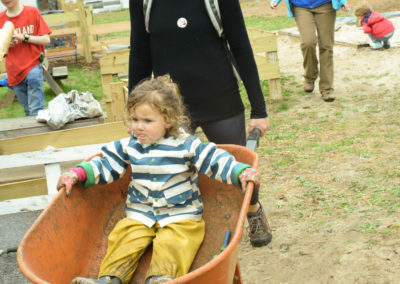 There will be 18 on-site and a couple of off-site activities. 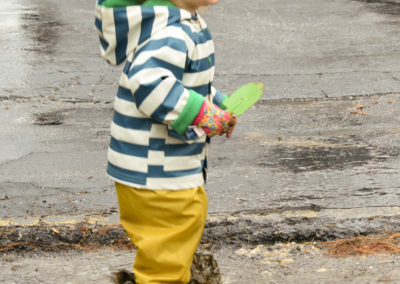 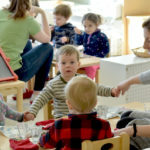 Free child care is available from 9:00 AM to 12:00 PM. 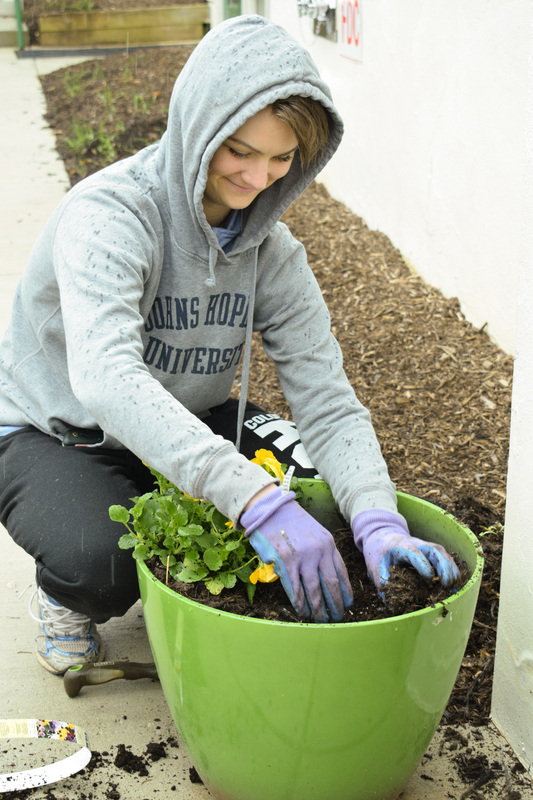 Food packaging, cooking, health kits, visiting with seniors, community clean ups, and more. 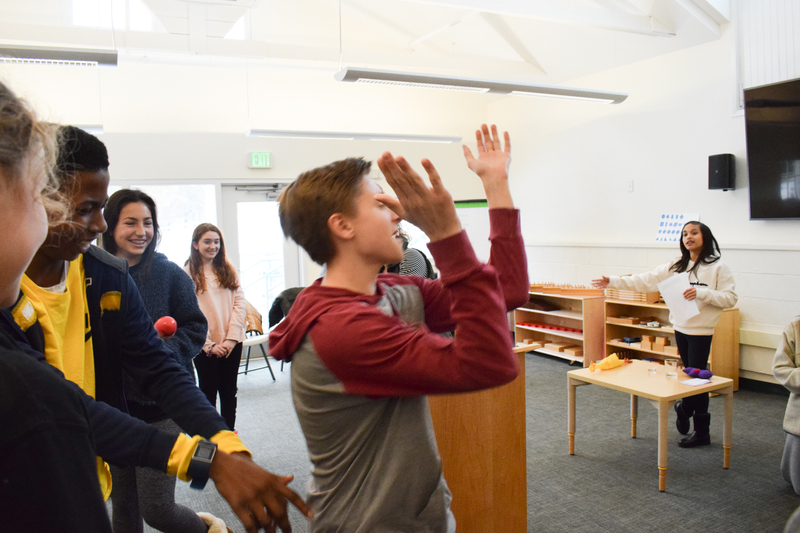 $5 – Celebrate the holiday with musical performances, theater readings, a book discussion with Dr. King’s barber, films and craft activities for the family. 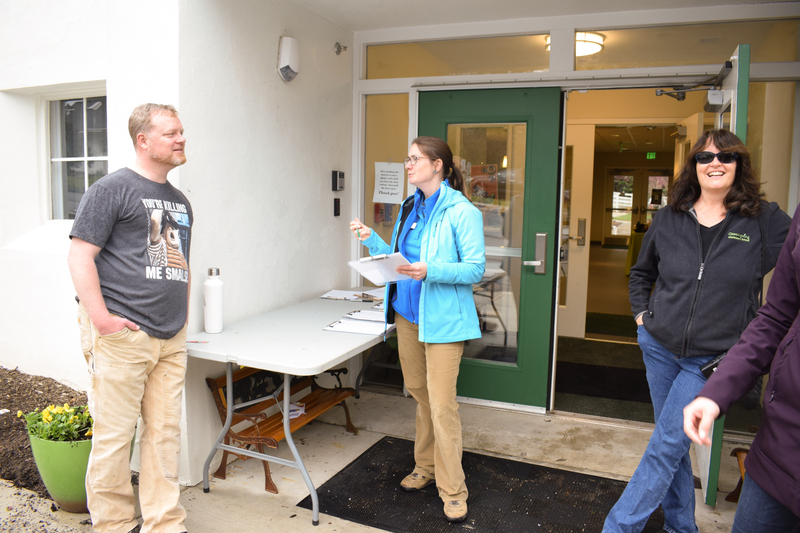 Kaiser Permanente will provide an array of resource services for the community including free health screenings.